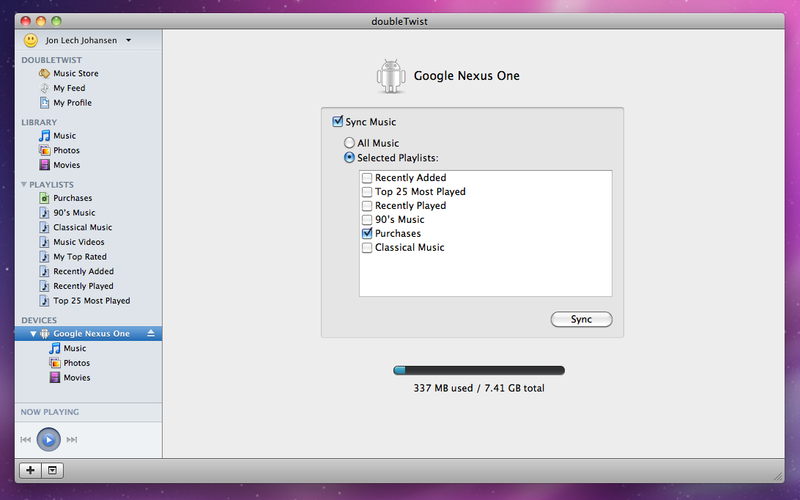 When I got my Google Nexus One, one of the features that I missed which the iPhone gave me was the iTunes media management interface. Nothing beats the iPhone and iTunes interface when it comes to managing your phone’s media files as well as synching your iPhone to your Mac or PC. Â Yes, the Nexus One comes with a USB cable that you can use or the Bluetooth feature but these are so 1990s if you have used, assimilated and embraced the iTunes life. Enter DoubleTwist, a new media management software which aims to “create a unifying media platform that connects consumers with all their media and all their devices, regardless of whether they are online or offline.” It is very similar to iTunes but works with any devices. It lets you drag and drop songs to playlist, sync music, photos and videos to your devices as well as share your media with friends. Although it was not designed specifically for Android phones, such as the Google Nexus One, DoubleTwist recently partnered with T-Mobile which could very well make it as the Nexus One’s closest choice for managing their media files and for synching their phone to their Mac or PC. T-Mobile is set to promote DoubleTwist on all their retail stores as well on their online site. But the biggest break for DoubleTwist is the fact that it will soon be preloaded on some Android devices that T-Mobile is going to release. I’ve downloaded DoubleTwist on my Mac and currently installing it. Will check it out to see how good it fares up with iTunes. If you want to give it a try, you may download if from here. Universal Music Group (UMG) has teamed up with ad-sponsored digital music download service FreeAllMusic to provide a facility for music fans to download freely and legally music tracks from UMG’s stable of artists. The deal will give users up to 20 free music downloads per month, five per week starting every New Music Tuesday. In case you’re not aware, FreeAllMusic is a fairly new music service offering downloadable, high-quality, iPod-compatible MP3s of popular songs that are advertiser-paid, free, legal and DRM-free. The catch? You have to watch a short video commercial before you can download an MP3. You have to do that to let FreeAllMusic continue providing the service. It is after all what’s paying their bills to keep the site running. The good thing is, after watching the video commercial and downloading the MP3, you can now enjoy it anytime, anywhere minus the ads. Fair enough, right? Ok, before you folks jump for joy, let me just tell you that FreeAllMusic is a for US-only site. So bad luck for all of us non-US citizens of the world. But of course there are other alternatives to this service, if Â you know what I’m referring to. If you’re from the U.S., you need to register at FreeAllMusic.com and then simply select a participating brand, then watch the short video commercial. After which you can start downloading the mp3. You can also share your downloads to friends but they have to download it for themselves. And they should also watch the video commercial. Or post your music download to social networking sites such as Facebook and Twitter so that others may know about FreeAllMusic.com’s service and be compelled to watch video commercials in exchange for free music. Say goodbye to pesky and obtrusive ads whenever you want to listen to free songs featured on music videos on YouTube. Likewise, say goodbye to those annoying country-specific restrictions that renders most songs practically un-streamable if you live in Timbuktu. 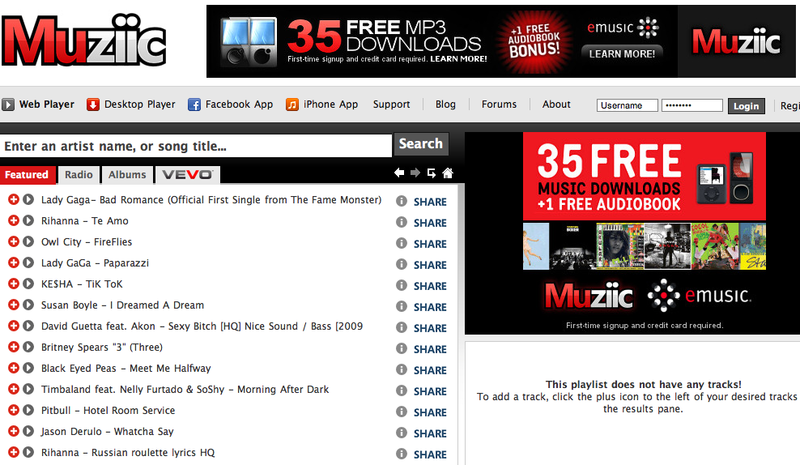 Thanks to new site Muziic you can now enjoy those two benefits brought by the free Internet. First started as a Windows application, Muziic then lets you organize and manage music collections from songs featured on YouTube videos. 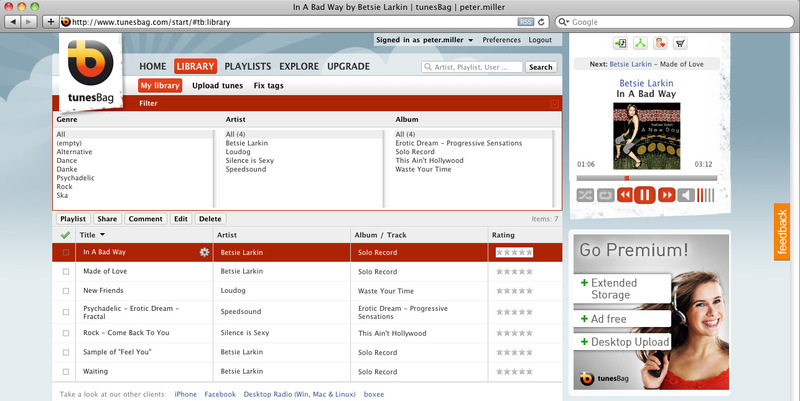 Think of it as the Windows iTunes for YouTube, that also lets you rip mp3s to YouTube. To make its service more relevant, Muziic recently launched a web-based media player. And while they were at it, they brought along music video start-up Vevo which went public recently. So, what do this bring us, free music loving Internet citizens? Â Free songs, as in millions of them with accompanying videos to boot. And then what else? Muziic also lets you register on the site so that you can create your music playlist. It has a very efficient search engine which offers direct song access similar to iTunes does. For those who couldn’t live without sharing things with their friends to social networks, Muziic also just recently rolled out a Facebook app. How about an iPhone app? Not yet but it’s coming pretty soon, I hope. An online service as good as this is not without a glitch of course. For one thing, Muziic removes country-restriction to video contents from Vevo. While this may seem ok for now, Vevo is said to be looking at it right now. Hopefully, they won’t do something to spoil Muziic’s party. Aside from having tested its features and services already, new music sharing and playing in the cloud service, tunesBag finally goes out of public beta after being in close-by-invitation only mode for quite some time now. Earlier, tunesBag has released a web client, Adobe-AIR desktop client, Â iPhone and Facebook apps. Offering both a free ad-supported version as well as a paid premium subscription, tunesBag lets you upload your music collection to its cloud storage and then play them anytime, anywhere. tunesBag also lets you easily share your playlists and invididuals via email and social networking updates. You can also rate and recommend songs and playlists to anyone. In other words, tunesBag is your standard online music sharing service. And to avoid copyright issues, tunesBag only allows music sharing in countries where it is legally covered by licensing agreements. tunesBag will determine this through your IP addresse. Likewise, tunesBag may also refer users with restricted access to licensed music to other online sources where they can listen or find information about those music tracks. Want to take tunesBag for a spin? Â Sign up here. I remember using Â the free music app Songbird a long time ago but didn’t quite fully maximized its features. Â In fact, I thought the app was no longer existing until now that I learned about its latest software update, Songbird version 1.4.2. In case you never heard of Songbird before, it’s an open-source music app that you can use if you’re tired of using iTunes and Winamp as it provides simple interface with powerful features to let you manage and listen to your music files. For its latest version, Songbird is introducing new features such as Mass Storage Class Support, CD Rip support, and Purple Rain Feather. MSC Device Support lets you sync tracks from MSC devices to phones and MP3 players including the iPod Â through MSC mode. 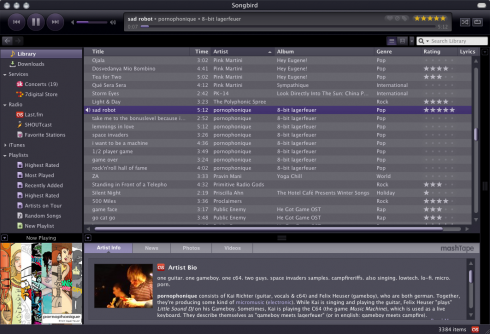 Â Music tracks which are in incompatible formats are transcoded on the fly to be supported by Songbird. Songbird also now lets you rip CDs into FLAC/OGG or WMA for Windows users. Finally, the new Songbird now sports a new Purple Rain Feather for a sleek-looking and cool interface. It now has dedicated toggle buttons for frequently used Media Views and simplified display pane management.